Michael Jackson’s sixth solo album Thriller exploded onto the music scene in 1983. A year later, he released “Beat It” as the album’s third single and won two Grammys. 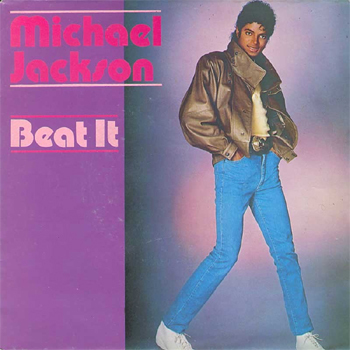 As of September 2010, “Beat it” has been downloaded over 1.6 million times. The music video is just as iconic as the song; there is no other instance where a knife fight between tough gang leaders could devolve into synchronized arm flaps/pelvic thrusts and still be taken seriously.